Our hydrating facial is designed to give you intense hydration and renewal, along with the infusion of top class antioxidants. This facial gives your skin the TLC it deserves leaving it looking brighter than ever. This stimulating facial is designed to combat ageing stresses, exposed, damaged and dull skin. This treatment will rejuvenate and revitalize your skin by delivering intense active vitamins and antioxidants to help fight free radical damage, leaving your skin luminous and healthy. A deep exfoliation treatment to produce a more even toned brighter, healthier looking skin. Includes exfoliation, enzymes , steam ,extractions, mask, infusion of antioxidants, lactic acid and suncreen. 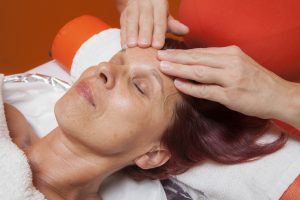 A total healing facial to reduce angry inflamed skin. Has been designed specifically for young skin prone to breakouts and hormonal changes. It will decongest the skin and reduce breakouts promoting healing, using ingredients that are anti bacterial and soothing. Our revolutionary LED light therapy mask uses blue and red light with NO UVA or UVB rays. This treatment helps fight the bacteria that cause acne and helps stimulate collagen resulting in a smoother even toned skin. 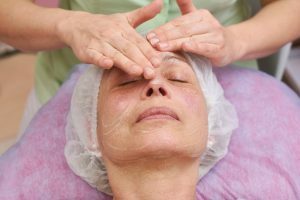 Kerryn Bolton along with her enthusiastic staff are fully qualified Paramedical and Advanced Beauty Therapists, there commitment to you will ensure that a detailed consultation will be conducted to determine the best treatment suited.